No more machine schedule or work order paper piles. No more shop floor schedules printed multiple times a day and tacked to a bulletin board. With Global Shop Solutions TrueView™ Data Display, view the latest work orders being completed on workcenters in real-time on your manufacturing shop floor. 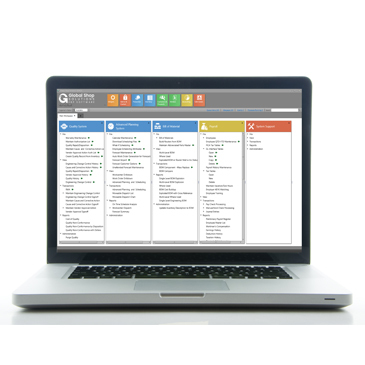 Our fully-integrated system pulls the latest information from your ERP system into a simple, scrolling screen greatly reducing human error, while modernizing your shop floor. Available on premise and in the cloud. Understanding your manufacturing shop floor schedule has never been simpler. As you view TrueView on the shop floor, your employees can see the total list of jobs in work left to be done throughout dates you define. No more wondering what jobs still needs to be completed; make sure the most priority work orders are completed on time, every time. Use TrueView to see what work orders an employee is currently clocked in on. 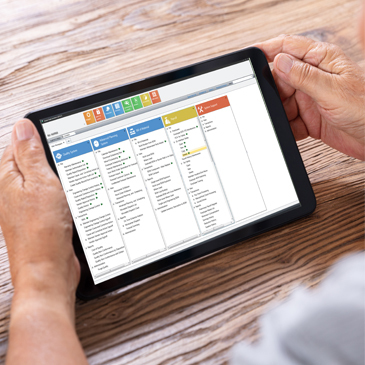 You can know with a simple glance – from the shop floor or from your desk – if an employee is clocked into a lower-priority work order and make adjustments to your shop floor schedule as needed, saving you time and money. With a simple, one-time set up, you no longer have to wait for the latest work orders to be printed and hope they are correct. 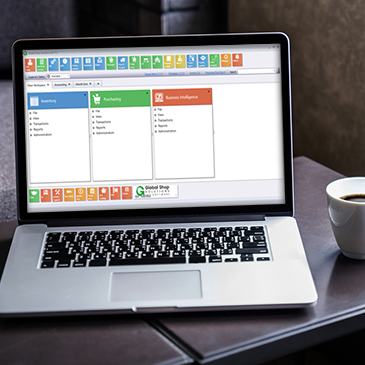 Our fully-integrated TrueView software allows you to see the customer name, project due date, quantity ordered, quantity completed, project priority, sales order and more, showing you the most important work to be completed every time. View job priority, due date, sales order numbers, project numbers, customer name, workcenter and more.